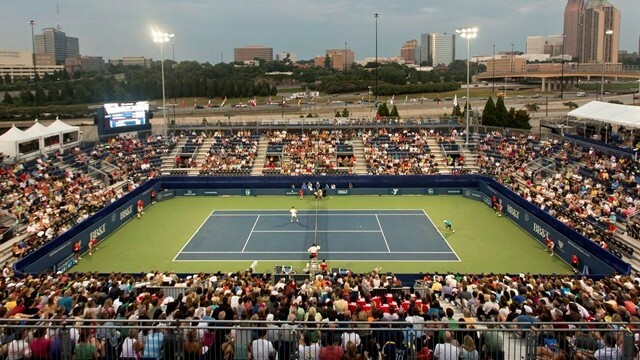 Tickets for 2015 BB&T Atlanta Open are being sold at a pace that surpasses any year in tournament’s six-year history, Tournament Director and Chief Development Officer Eddie Gonzalez said today. Many of this year’s VIP experience packages are now either sold out or have limited numbers remaining. · Limited seats are still available for the all-inclusive VIP Lexus Front Row seats with VIP access to Lexus VIP Lounge with open bar and free food throughout the tournament. · Limited seats are also available for the VIP Ladies Day Experience on Thursday, July 30. · VIP Champions Day brunch packages on Sunday, Aug. 2. · Saturday, Aug. 1 is Military Day. Active or retired military personnel with a military ID will receive two free tickets while supplies last. For those looking to purchase more than two tickets, servicemen and women can take advantage of a “buy one, get one free” deal for additional tickets that day. Kids Weekend will be held during the opening weekend of the tournament, July 25-26. Up to four kids (18 and under) will get in free if accompanied by an adult who buys a ticket. This year’s tournament will also cater to the younger tennis fans of the area with the PGA TOUR Superstore VIP Kids Club. Tennis fans ages 12 to 18 can register for a weeklong commemorative credential with reserved seats and other perks, including a meet and greet with an ATP World Tour player, Prince back pack, string, grip and a Wilson oversize tennis ball for autographs and a $40 gift card to PGA Tour Superstore. Less than 30 packages are remaining. The tournament, which is the first event in the Emirates Airline US Open Series, has also announced the Bryan brothers, arguably the greatest men’s doubles team in tennis history, have committed to play. Two-time champion Mardy Fish will play singles and doubles with 2003 US Open champ Andy Roddick, who is coming out of retirement for the tournament. Two-time defending titlist John Isner is also signed up for the event.